A palm oil free all purpose surface spray. 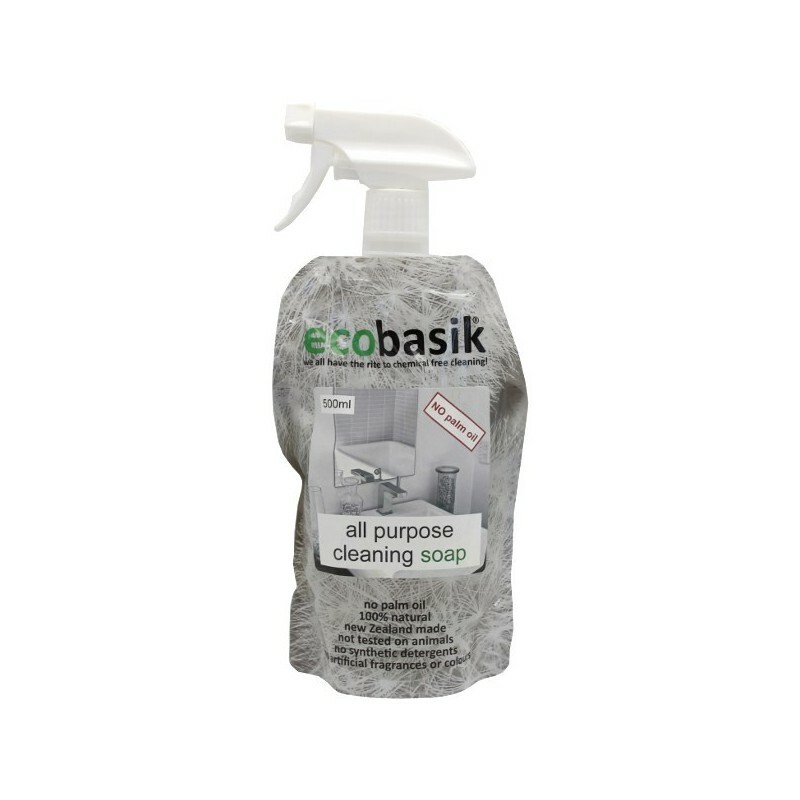 This spray and wipe solution works best with a microfibre cloth and can be used in all rooms of the house. For more stubborn grit and grime, just spray and wipe down after ten minutes. 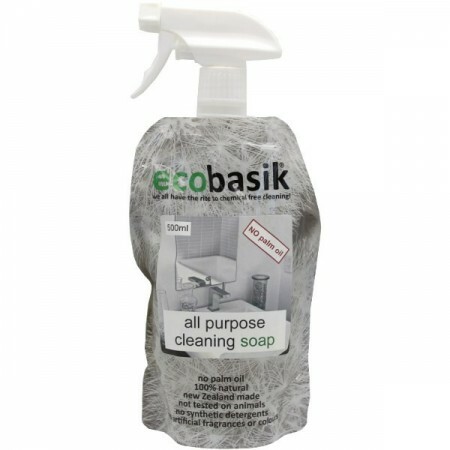 Can be used on walls, sinks, worktops, vehicles and more. Free from synthetic detergents, colours and fragrances. Orange scented. 500ml. Only for purchase in store. Spray and wipe down all surfaces in the home. Can also be used to spray on greasy laundry spots before being put in the wash.
Scented with orange essential oil. Package in reusable and recyclable pouch. Water, potassium cocoate, sodium bicarbonate, orange essential oil.